In Economics, Price of a product is determined by the difference between Supply & Demand. If supply is more & demand is less than the price will fall and vice a versa. 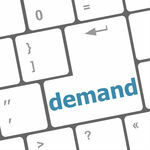 This relation between demand and supply is used by Marketers intelligently to command premium for a product. Its an art to fine tune the demand & supply to command right premium. Even a slight error can spoil the entire game. The Marketers leverage this by creating Artificial Demand for product by cutting down supply of a product in demand. The basic assumption is that product should be in demand to create Artificial Demand. Through Artificial Demand, Marketer can charge premium for the product and increase re-sale value. Artificial demand is more prevalent in premium segment e.g. Royal Enfield but gradually it is making inroads in mid-segment e.g. Hyundai Grand i10 and Swift Dzire. Even Honda Activa is leveraging the principal of Artificial Demand in sub 1 Lac category. By creating artificial demand, the marketer play with the psychology of a customer. Its a human tendency that if we get any product very easily or is readily available than we don’t value it much. Contrary if we need to wait than we value it more and ready to pay premium for same. You will not find any sales scheme or discounts being offered for such products. The products in artificial demand are being used to cannibalize the sale of other products by projecting them as superior as these products are more profitable. Few other factors which influence Artificial demand are high perceived value in the mind of customer and least competition in product price range i.e. high cost of upgrade to next product and low perceived value of the product at lower price point. It reminded me of pre-liberalization period when there was a waiting period of 4-5 years for Bajaj Scooter or Maruti 800. Pre-Liberalization period is also referred as License Raj. In License Raj, the manufacturer was suppose to take Govt Permission for manufacturing X no. of units and any excess demand was sole reason for such a long waiting period. For example Manufacturer A received license to manufacture 100 units per month but he had 600 bookings in order book therefore waiting period of 6 months for customer as manufacturer would have taken 6 months to manufacture 600 units. In short, waiting period during pre-liberalization period cannot be attributed to Artificial Demand but was a genuine gap in demand & supply due to Govt restrictions. The examples shared by me are real examples based on my research and personal visit to showrooms. The distributor of Royal Enfield promised delivery after 15 months from the date of booking. Delivery of Hyundai Grand i10 was promised after 45 days from date of booking. As i currently own another Hyundai car therefore Hyundai was willing to provide loyalty bonus, discount & freebies on all other Hyundai models except Hyundai Grand i10. Similarly Honda Activa distributor told that waiting period is 3 months as i was planning to buy the same for my wife. With the time, technology has also changed drastically. As i was reading in one of automobile case study, Current automobile production line are designed in such a way that it can manufacture any model any time. In past there were separate production lines for each product therefore it was difficult to scale up production of any specific product in demand. In modern times, if there is excess demand for product A thus artificial demand situation than the manufacturer can fine tune production by increasing production of product A and cut down supply of product with less demand. To summarize, An Artificial Demand of a product is created superficially to leverage the popularity of the product. Its an ideal scenario for any company as there is PULL factor in market for product which has positive ripple and cyclic effect throughout the product life cycle. High Perceived value in the mind of customer create positive psychological impact thus customer is willing to wait for months despite long list of other options available in the market. In my personal opinion, its a anti-consumer practice equivalent to black marketing. Readers can share their thoughts on this topic through following comments section.